Custom emergency panic gates designed, fabricated and installed by The Fence People. Quick release latches allows the gates to open with minimal pressure on the panic bar for easy emergency exit. These gates stand alone without being affixed to adjacent buildings or structures. Sturdy supports allow for rigid stance allowing those that use the door to apply whatever pressure needed. 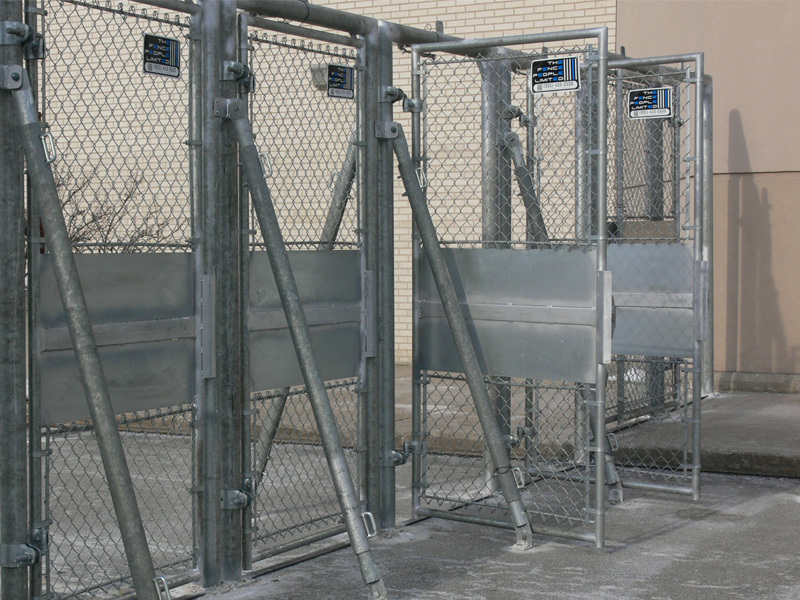 Fabricated with galvanized steel tubing these gates are ideal for indoor and outdoor applications.